"The temperature was around -22 C, with a windchill in the mid minus thirties," she continues. "You could actually see the ice crystals shimmering in the air. There was a 22° halo, a 46° halo, infralateral arcs, tangent arcs, circumzenithal arc, a parhelic circle and more." Atmospheric optics expert Les Cowley created a diagram labeling the halos: click here. He says they were created by a special kind of ice crystal called "diamond dust." "Diamond dust--that is, low level ice crystals shaped as hexagonal plates and columns--make the very best halos because the crystals are large and of good optical quality," explains Cowley. 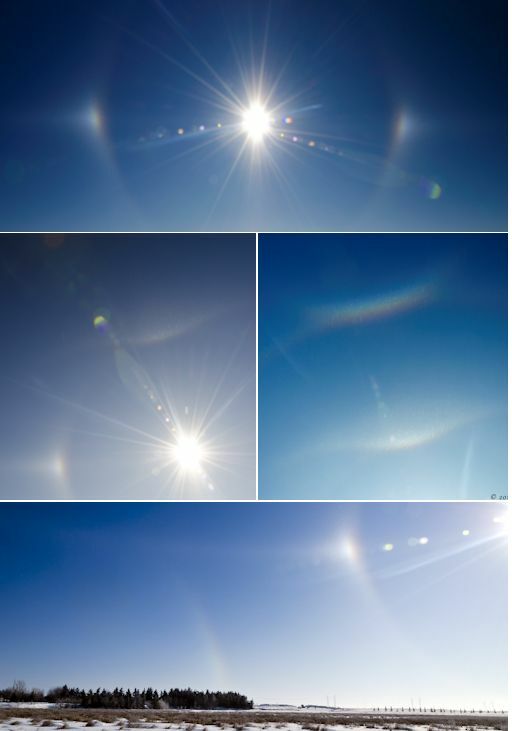 "Plates made the bright sundogs and the circumzenithal arc while column crystals generated the upper tangent arc and the rarer supralateral and infralateral arcs. More peculiarly oriented columns gave the not often seen Parry arc. A few randomly tilted crystals produced the faint 22-degree halo and only a hint of the 46-degree circle. Supralateral arcs and the rarer 46° halo can be hard to tell apart." "Even though wintry diamond dust is the king of halos,ordinary ice crystals in high clouds can give fine displays all year long," he says. "No matter where you live, or what time of year, keep an eye out for halos." On Feb. 12, 2014, the network reported 6 fireballs. 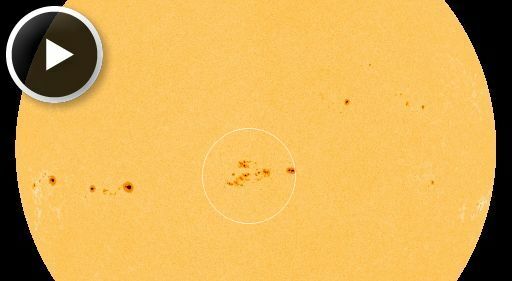 On Feb. 11, 2014, the network reported 4 fireballs. On February 12, 2014 there were 1457 potentially hazardous asteroids.